Bhubaneswar AIIMS authorities would introduce traditional forms of treatment like yoga, ayurveda, homeopathy and unani to tackle the growing number of patients. 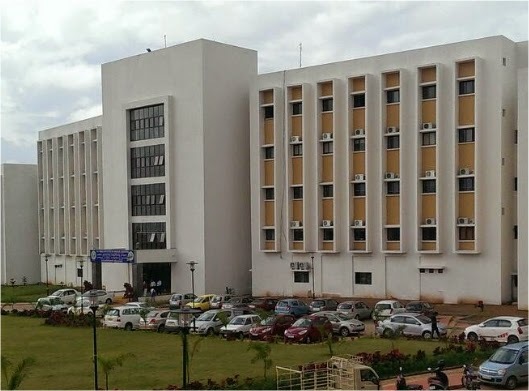 Bhubaneswar AIIMS director Ashok Kumar Mohapatra said the introduction of the traditional forms of treatment would help in handling rush of patients and reducing pressure on allopathic doctors of the hospital. “Patients suffering from common diseases like fever, cough and old age diseases can easily be treated through traditional means of treatment … homeopathic and ayurvedic medicines also have less side effects,” he said. AIIMS here has only 68 doctors and more than 1,000 patients visit the institute every day. It has more than 200 beds and 26 departments like medicine, surgery, gynaecology and orthopaedics. There are plans to take the number of departments to 50 and the bed strength to 500. The expansion project of the hospital will be inaugurated by Prime Minister Narendra Modi in December this year. AIIMS Bhubaneswar is one of the six AIIMS like apex healthcare institutes being established by the Ministry of Health & Family Welfare, Government of India under the Pradhan Mantri Swasthya Suraksha Yojna (PMSSY). With the aim of correcting regional imbalances in quality tertiary level healthcare in the country, and attaining self sufficiency in graduate and postgraduate medical education and training the PMSSY planned to set up 6 new AIIMS like institutions in under served areas of the country. These institutions are being established by an Act of Parliament on the lines of the original All India Institute of Medical Sciences in New Delhi which imparts both undergraduate and postgraduate medical education in all its branches and related fields, along with nursing and paramedical training. to bring together in one place educational facilities of the highest order for the training of personnel in all branches of health care activity.